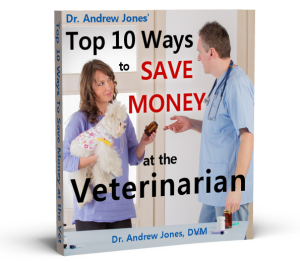 In this new video Dr Jones shows you to tell if your dog has a hot spot. I truly enjoy your videos.My problem is that my dogs continue to get ear infections. They are Blue pitbulls ,i’ve taken them to the vet but all he does is give them a shot ,put them on antibiotics, and sends some ear drops. They do well when on medication, but as soon as they go out….the infection comes back. I wonder what can i do naturally at home for this problem? Any suggestions will be appreciated. Thank you. Marley( Golden retriever) has one ear that always seems to have that brownish dirt stuff in it. Maybe a video on ear cleaning and why she gets this? We had a Golden Retriever that we got at 4 1/2 months old. His ears were so bad you could hardly bear to be near him. Having had ear conditions with a previous Golden, I immediately started him on Revolution. He also had no eyelashes or eyebrows, he was so loaded with ear mites and skin mites. Within a week his ears were clearing up (I was cleaning his ears 4 times a day) and he had stopped his constant scratching. Within a month his eyebrows and eyelashes were growing in, and his nose was no longer hairless. I know this is not a natural remedy, but if you need FAST action this is the way to go to get these conditions under control. Because we traveled to Texas every winter he was on revolution year round because of the fleas and ticks found in that region. How to get older dogs teeth clean without getting an anesthetized dental. I enjoyed watching your video about hot spot and how to properly give care, very interesting. I haven’t yet met a Vet that has an interest in the natural care for our pets so I’m very happy to have run into you. You’re videos are a learning experience… thank you! I have no suggestion at this time for a video but will send an email if I think of something. I’ve recently seen an article reporting a very promising new treatment for hotspots using an extract of brown seaweed – Fucidin, or something similar. Heard anything about it and when it may come to market? The only way I got rid of yeast infection in my cat’s ear was by using witch hazel on a cotton ball. The meds that the doctor gave me didn’t work. The infection came back. Now I’m worried the infection could have spred before I got rid of it. How do I find out if it did? I totally agree with Marianne. I would LOVE an answer to tracheal collapse. My Pomeranian has the same thing along with a heart murmur. I just hate to hear my baby cough all the time. Thank you! what is the dosage of aspirin mixed in the tea for hot spots?? Hi Linda, The aspirin is 325mg tablet dissolved in 1/2 cup of concentrated black tea. Thanks for all the suggestions, and look forward to a video on tracheal collapse, plus a new video on ear infections! my dog ? ?chih-tzu maltese , she is 13 years old, has three flesh-colored warts. is there anything homeopathic that they go away?